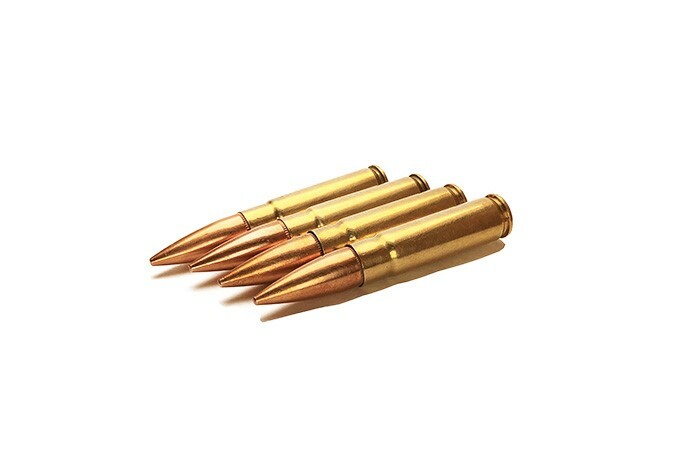 Stryker 300 AAC/BLK - Supersonic ammunition with a 147 Grain Bullet, Lead Core (Gilded Metal Jacket) & Brass Case. Manufactured at American Marksman’s facilities with the same Lake City Brass & Bullets that our Military uses. Meets SAAMI specifications. Projectile is magnetic. Some cases may have LC or FC Head Stamps. Bulk packed to bring real quality at affordable prices.